Looking ahead to this weekend, we are going to open the complex between the hours of 10am – 3pm on both Saturday and Sunday. 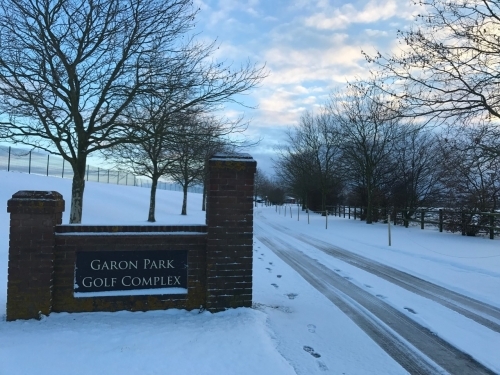 The bar and restaurant will be open for food (possibly limited menu due to lack of deliveries) and drinks and the golf shop will also be open, however, please note the golf course, par 3 and driving range remain CLOSED. If there is any change to these plans I will let you know as soon as possible and we do advise giving the golf shop a call before if you are thinking of coming down – 01702 601701 option 1. Certain parts of the car park are heavily covered due to the snow drifting coming off the golf course. If you are coming to the club this weekend, please take CARE when coming into the car park and drive sensibly as we don’t want anyone getting hurt or vehicles getting stuck! The weather looks to be improving into Sunday and Monday, therefore hopefully normal golf club business will resume soon. Thank you all for your patience during this time as this is just as frustrating for us as it is for you, but unfortunately, these things are completely out of our control.